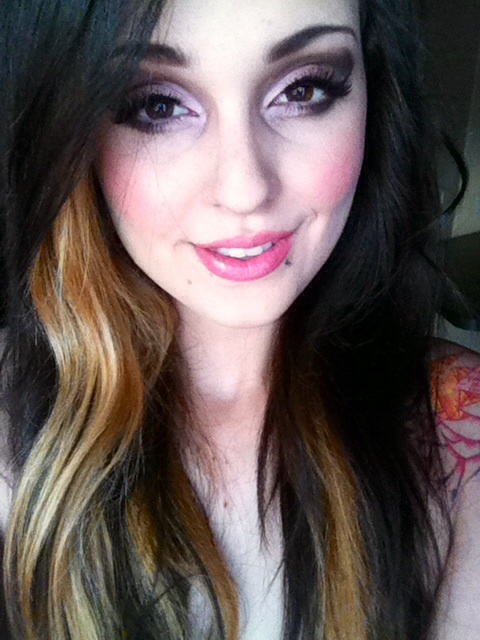 Maybelline Blushed Nudes Night Out Makeup Look! I got a request the other day from someone saying they wished i would have done some looks with that Maybelline Blushed Nudes palette review i posted recently, so i thought that was a great idea and i should definitley at least post one look with this palette. Here’s what i came up with! 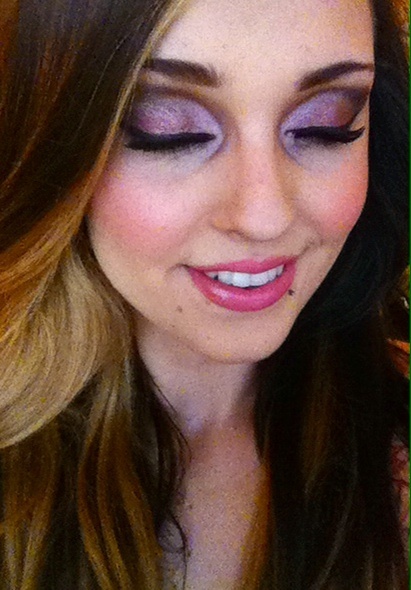 Sort of a pink, rosey smokey eye. 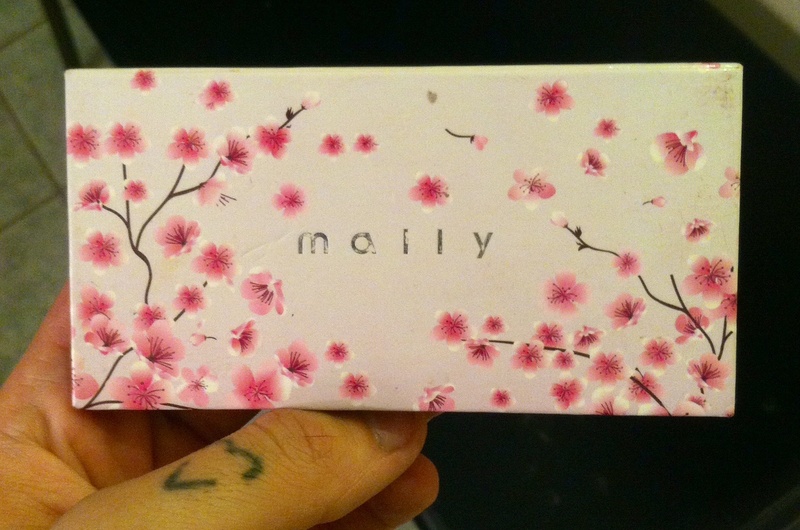 I always start my eyeshadow routine with my MALLY base shadow. 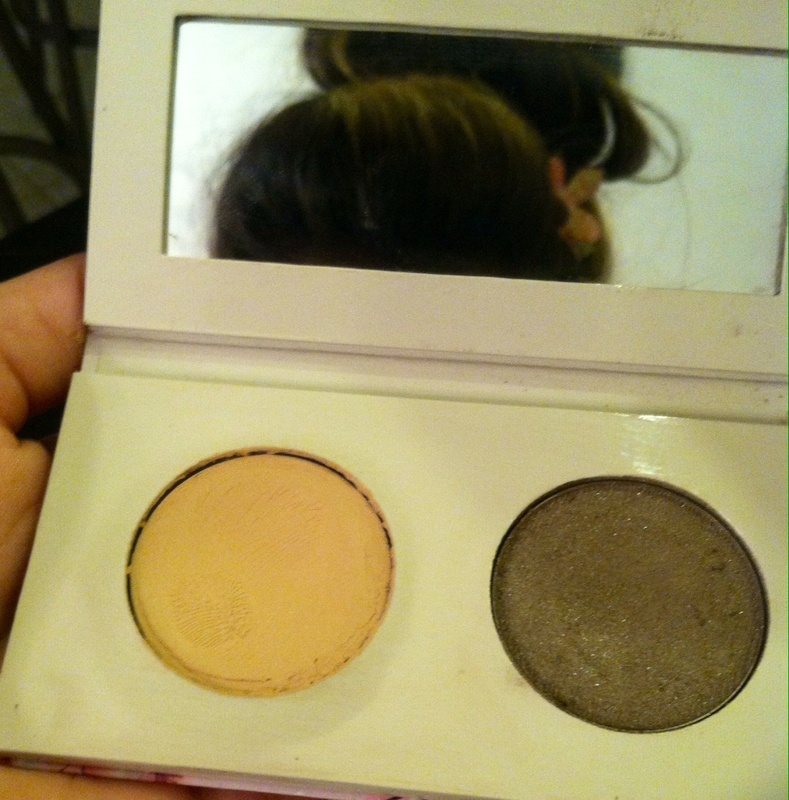 It is so creamy, doesn’t crease at all and makes the shadow stick to your lids perfectly for HOURS! One of my personal favorites. The base shadow is the pan to the left. It works very well as a primer but any eyelid primer will work just fine. 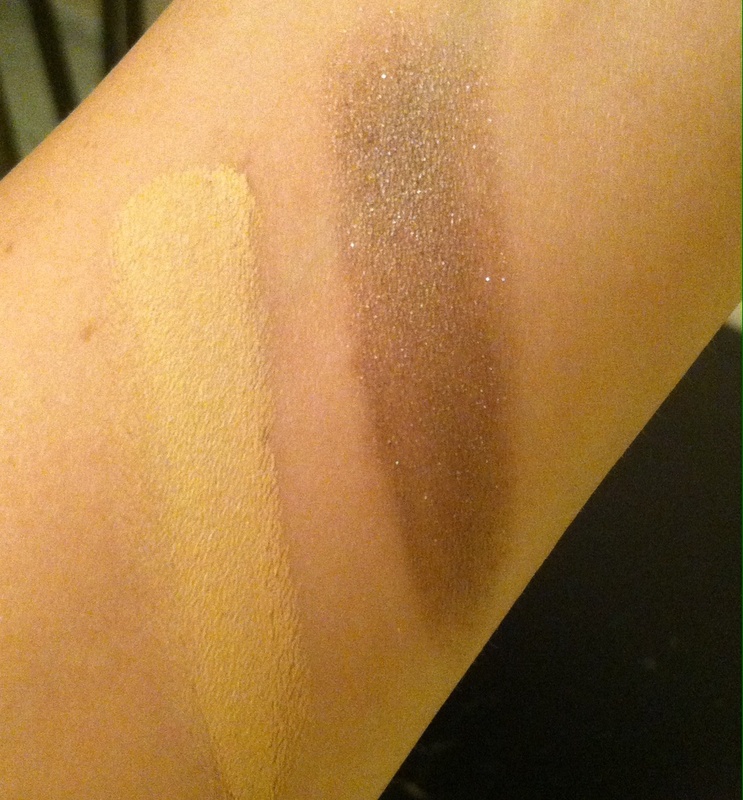 Above are the two shadows in the MALLY palette swatched separately. As you can see, the brown eye shadow is somewhat transparent, it doesn’t look nearly as dark as the color in the actual pan. The base shadow is neutral in color, bright & creamy. Now, let me show you the brown shadow OVER the creamy base shadow. 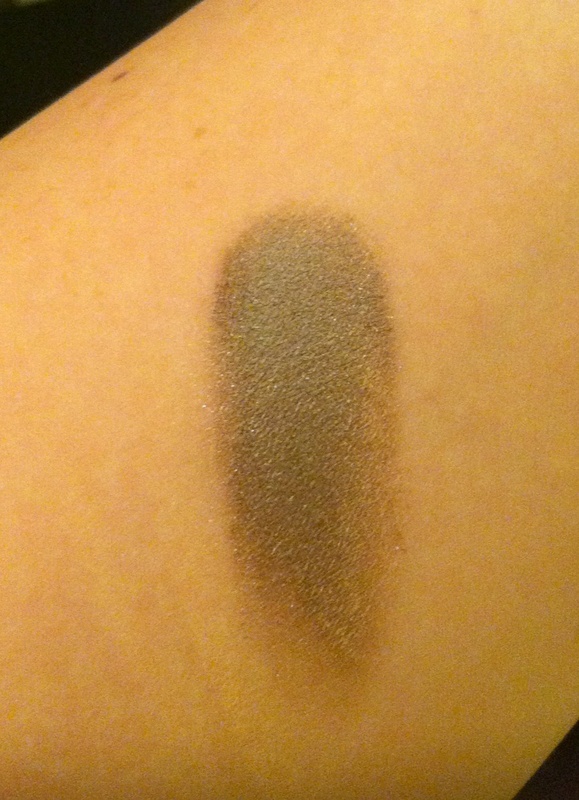 Now that the brown shadow has been applied over the base, it has much better color pay off and it is noticeably darker than the last swatch. I pretty much just cut my crease with this color and then blended it out so it wasn’t such a harsh line. I packed this onto my lid, and blended it in with the color i used in my crease. Traced my outer V with this black color and blended it out, also used on my bottom lash line. Applied this to my inner corner, and below near my inner corner on my lower lash line. Blend blend blend! 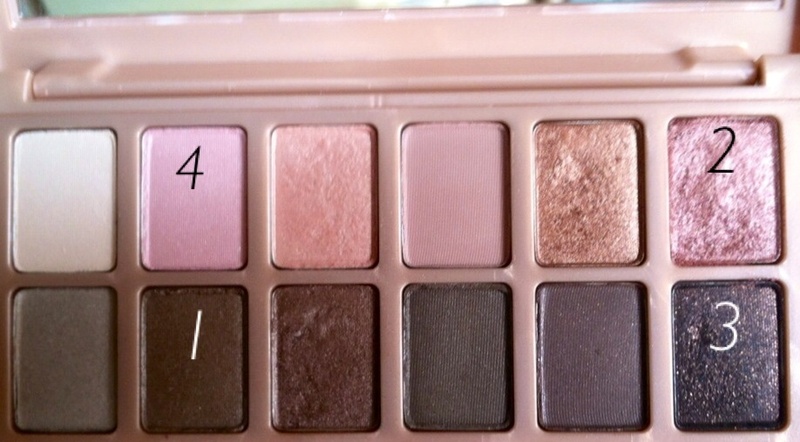 You can really achieve some beautiful romantic eyes with this palette. I’ve been loving it so far and here you can see the gorgeous colors in action! You could also go the opposite route and do something with the lighter colors in the palette for more of a daytime look. If you’d like me to do a daytime look for you just leave a comment!